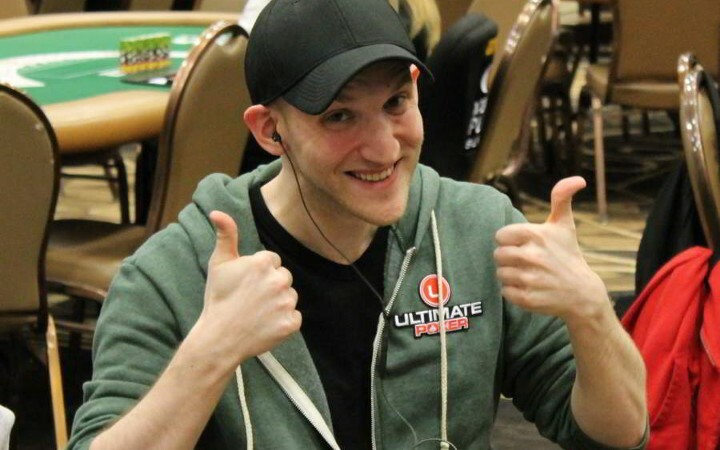 Jason Somerville parting ways with Ultimate Poker. The rumor mill is churning and this time it involves one of the most popular personalities on Ultimate Poker's “Team U”. Poker pro Jason Somerville is rumored to be done with Ultimate Poker within a matter of days, potentially even sooner. F5Poker sources say that with Ultimate Poker tapping out of the New Jersey market that finances for the legal online poker site just don’t allow them to move forward with Somerville in the fold. It was just 4 weeks ago that UP announced that Season 2 of Somerville’s webseries RunItUp would return and be exclusive to Ultimate Poker. In recent days every episode produced in Season 2 has been re-uploaded to Somerville’s own YouTube channel with the latest episodes being released exclusively on Somerville’s channel, without a UP duplicate. With Jason having one or more feet out the door, we have to wonder what the fate of his fellow “Team U” pros will be. Have we seen the last of “Me vs U” with Dan O’Brien and Danielle Andersen? Or will viewers in Taiwan still have more to look forward to? If Jason is too expensive, we can only begin to imagine lead ambassador Antonio Esfandiari's price tag. Will he be a disappearing act as well? It may not be not be the same for Esfanidari as, again, rumor has it that “The Magician” has an slice of ownership in UP. Just a reminder poker fans that the grandaddy of televised poker is back on the air this coming Sunday. ESPN is testing your loyalty to poker by pitting the majesty of the Main Event in roughly the same timeslot as the NFL’s Sunday Night Football. Tune in to ESPN this Sunday, Sept. 28 at 9:00pm EST to watch the beginning of the journey to the November Nine. So what will it be? What type of “Cowboys” will you be watching this Sunday? James Hartigan walks you down the halls of PokerStars HQ. Billed as another inside look into the leader in online poker, PokerStars, episode 1 of “Inside PokerStars” finds EPT Live's James Hartigan having a chat with Head of Corporate Communitcations, Eric Hollreiser about all things PokerStars. Look, don’t get too excited – this isn’t a hard hitting interview or anything. It’s really a promo piece designed to put a happy face on a company striving for more – a niche in the US marketplace and beyond. That said, it’s not like they aren’t saying it like they see it. PokerStars has been a leader through innovation and one of the best customer service teams in the online poker industry. Just a minute #humblebrag that not too many will take issue with. So, Hartigan doesn’t grill Hollreiser. OK. It’s a quick look into how PokerStars sees themselves (and want to position themselves) at this crucial juncture in online poker history. From subtly suggesting that they have a base of operations in places other than the Isle of Man (and they’d probably be happy to do so in, say…New Jersey) to the heavy emphasis on serving their customers, this is a slick presentation of the company most people would love to see taking care of US players. If you want hard-hitting questions go watch the Lederer Files. Back-to-back: Check out episode #2 right here…a reassurance that your funds are segregated. We often feature words of wisdom from some of the biggest names in poker. Daniel, Phil, Phil and sometimes even Phil. We came across this blog entry from Dublin based poker pro (and coach) David Lappin that we thought was worth passing along. After 7 years in the game, although Lappin may not be the biggest superstar on the planet, he’s got some words of advice and a journey to share with up and coming rounders and even those who find themselves in the depths of the grind. So with that in mind, here is the best piece of advice I can give, the Lao Tzu Pearl of my seven years: Choose your battles. By that I mean, don’t fight against imaginary adversaries, who, in a poker context, are actually your individual opponents or rivals. It sounds weird but it’s true. Everyone who plays the game long enough has a poker journey and this is David’s and while it’s a long career, thus far, it’s an easy read so kill a couple minutes and check it out. Bonus: Here’s a video from a few years ago when David tried to explain to old dudes some of the “Online Wizard’s Glossary.” Hilarious. It’s the final table of the 2014 PCA and one one person can take home the title. One-time EPT Champion and high-rolling poker prodigy Mike “Timex” McDonald” and professional online grinder Isaac Baron headline the final 8, as we witness the emerging of a new, young poker star – Poland’s Dominik Panka. It’s the final table highlight reel you want with the commentators you love – James Hartigan and Joe Stapleton call the action and give you peek at the hole cards before all the money gets in the middle. So, take an hour off work to sit back and enjoy. Miss Episode 7? We got you. Filthy rich Big One For One Drop entrant enjoys a good tug. UK businessman Paul Newey jumped into the high-stakes poker tournament limelight by, essentially, making the 2012 Big One For One Drop $1M tournament his first ever live event. That’s a pretty big introduction to the world of poker and he’s been putting up results, including a 7th place finish in the 2014 version of One Drop, and logging time on the felt ever since. But if you look at Newey’s Twitter timeline (@TOPDOLLARMAN) there may be one other thing he enjoys more than going deep in a tournament – a good pull at the the high stakes slot machine. As you’ll see, Newey isn’t sitting in the slot machine pool with the Grandma grinders. He’s in the high-stakes section and when he hits – the man hits big. Check out some of these nice scores that Newey has posted over the past couple of months! But it’s not just slot machines that Newey bets (and wins) big at…check out his Keno score from just before the One Drop. Want more on the UK poker playing businessman? Check out this article from PokerNews earlier in the year as they profiled him from the 2014 PCA. Thanks to Kevin for this one! 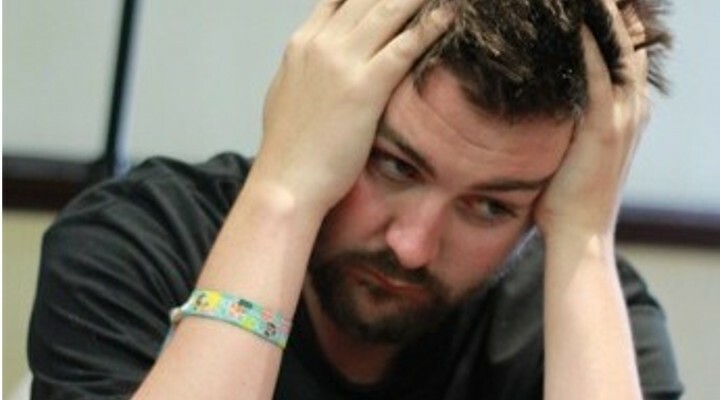 2009 WSOP Champ reveals reason for PokerStars split. Joe Cada in happier times. 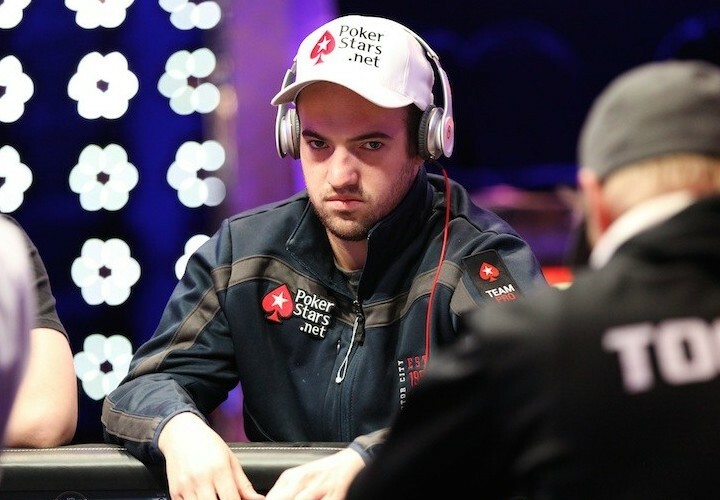 Yesterday we discovered that Joe “The Kid” Cada and his longtime sponsor PokerStars parted ways. Today, Cada put an end to the speculation as to what happened. It seems that all he wanted was his old deal of rakeback. So, by Cada’s account there was no big contract, no financial figure outside of that…he just wanted rakeback. But apparently, even that was over the line for what the new PokerStars had in mind in terms of compensation. So, having former World Champ Joe Cada on the roster isn’t even worth rakeback? That seems to be the indication as Joe tells poker pro Gavin Griffin in the tweet above, that there was, pretty much, no circumstance under which Cada was going to remain a pro when his contract (which if you look back in time was finalized around August 2009) came to an end. But don’t feel too bad for Cada. He locked up what looks like a sweet deal with Norwegian Cruise Line which will have him sailing the high seas as a poker cruise’s featured player. Bad beat for those hoping for a bad beat. Traditionally, the Bad Beat Diaries features some of the worst bad beats we can get our eyes on. In this case though a hand featured from the Grey Eagle Poker Room in Calgary has an uncharacteristic “best hand wins” finish. 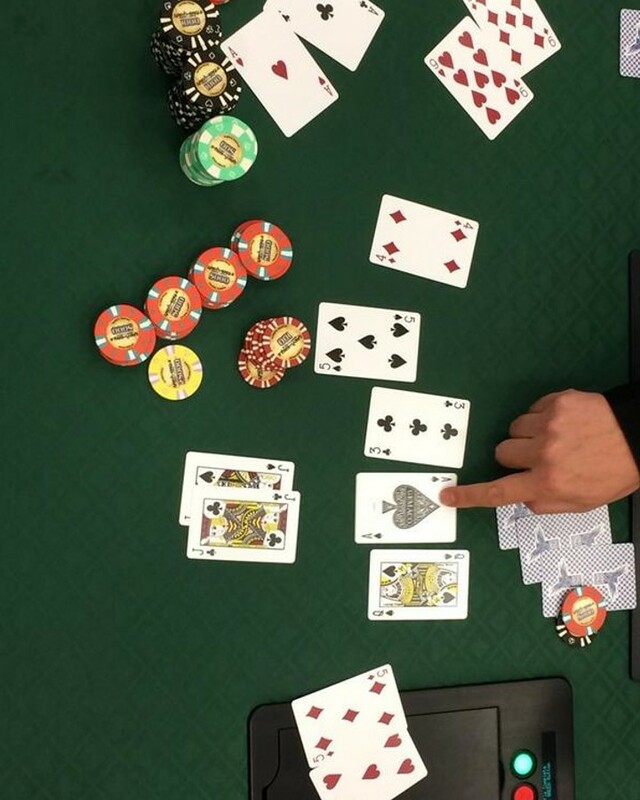 Now, like a lot of our Bad Beat entries, we didn’t get the low down on this hand but from the looks of it we can only assume that all the money got in pre-flop as there are three hands that absolutely hate that flop if they were able to see it without risking it all to do so. Even in the pages of the Bad Beat DIaries do Aces sometimes hold, giving hope to grinders everywhere. If you are up that way, make sure you stop in this week to participate in the Deepstacks Poker Tour $200K Main Event. UP outright denies “fake view” claims. Yesterday tens of people came to F5poker to read about the Twitter rant of William Reynolds against the site that formerly sponsored him, Ultimate Poker. We here at F5poker also pointed out that we found it pretty bizarre just how many hits Ultimate Poker’s “Me vs. U” series continued to get, from the tens of thousands to up over 100k. There’s a difference between view botting and paying for advertisement for sure (in terms of internet etiquette and TOS compliance) but, ultimately, for the number of views it received, it doesn’t really matter either way. Whichever it is, there doesn’t seem to be any real world harm coming from this. So we’ll finish this post off with the same word we used in the original article—whatever. Maybe we can help those hits organically…watch every Episode of “Me vs U”! PokerStrategy’s Barry Carter offers some first hand advice. Lindgren still works to rebuild his once stellar reputation after being outed. Poker is still very much a handshake industry and one’s reputation is highly important in a game where money passes around so freely. So publicly outing someone for none payment of debts is going to add a lot of pressure on that player to do the right thing, when otherwise they may have happily swept it under the carpet. He also brings to light his own story of getting stiffed by a payment promiser and how he held out hope of getting his paycheck for way too long. In Barry’s case it was €7,000, not an insubstantial amount for a writer. But in the case of both the aforementioned poker pros, we’re talking over $1,000,000. Is there any amount of shame that can be brought onto anyone that would have them make good on a handshake bet or year long challenge? We’ll soon see as both Ted and Jungleman don’t seem to have any lack of motivation to keep the shaming campaign at full strength. Marcel Luske, Alex Kravchenko also removed from Team Pro page. It looks like there is even more sponsored pro carnage—and this time it includes a World Champion. 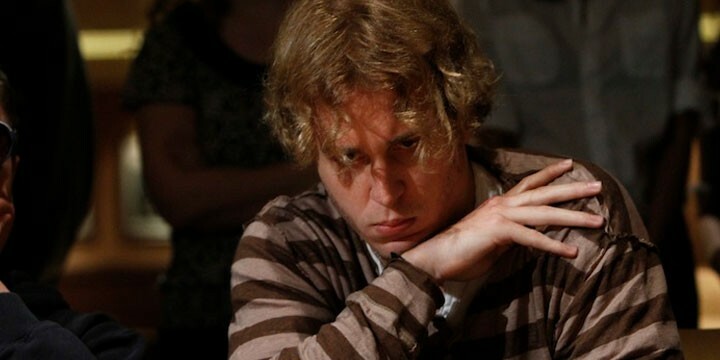 The 2009 World Series of Poker Main Event Champion Joe Cada recently confirmed the parting of ways. He’s among the latest casualties of sponsored pros to part ways with the newly acquired PokerStars. The professional poker player from Michigan, who broke the Champion’s Curse and won a bracelet (and a giant pile of money) in the 2014 World Series of Poker, has been removed from the Team PokerStars family page as of this month along with 2007 WSOP Main Event 4th place finisher, Russia’s Alex Kravchenko. Also recently taken off the team is current #1 Netherlands All-Time Money leader Marcel “The Flying Dutchman” Luske. It would seem that he popular upside down glasses wearing pro has been given his walking papers. This is not the first batch of recent cuts made by the online poker giant as a trio of Latin American poker superstars were not resigned earlier in August, including Jose “Nacho” Barbero. Despite no longer appearing to be a Team PokerStars Pro, Cada has been present playing in WCOOP from Canada, no longer sporting a Team PokerStars insignia or able to be located in the “Find A Pro” menu in the client. With PokerStars rumored imminent return to the US by way of New Jersey, it would seem a strange time to sever a relationship with a World Champion such as Cada, especially one who earned a reputation as an online grinder. But perhaps there’s good news on the horizon for the one-time youngest-ever Main Event winner…WSOP.com’s Seth Palansky recent spoke with Mike Gentile of pokerfuse and is looking to establish a “Gold Club” which would welcome former Main Event Champions into the fold. 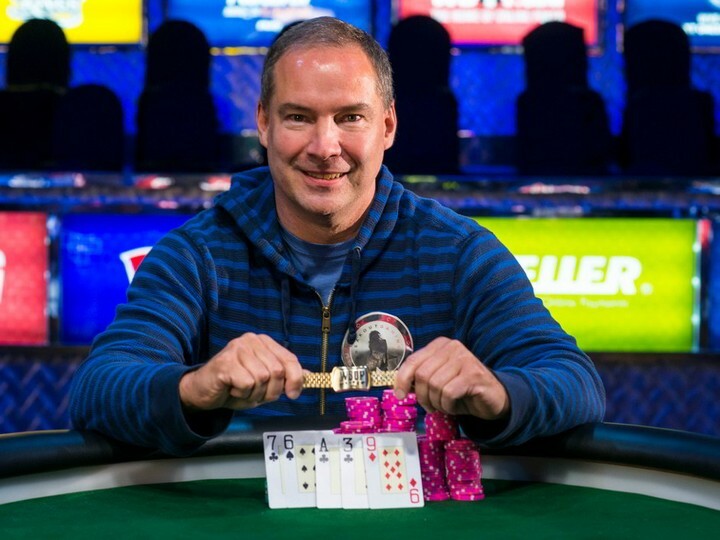 Greg Merson was recently named as WSOP.com’s first sponsored pro, could Joe Cada be next? Is Ultimate Poker spending their money on fake views of Me vs. U? When it was discovered that Ultimate Poker had slashed over half of their roster of sponsored pros, we here at F5Poker anticipated a few words from fiery pro WIlliam Reynolds. It turned out that a little time would have to lapse, and Ultimate Poker would have to depart the state of New Jersey, before we could glean some idea of how that breakup took place…today we got a peek. Note: these tweets have since been deleted, but the text version lives on! While Ultimate Poker has a number of types of video, Reynolds is most likely referencing their flagship series “Me vs. U”. So, is Ultimate Poker artificially inflating the pot when it comes to having views of the competition show featuring Dan 'O Brien and Danielle Andersen? Plainly put – are they buying views? Well, as an entity that consistently monitors and aggregates poker content we can say that the numbers of viewers for that series is seriously out of line with even the most popular Bluff or PokerNews videos. Remember when Bluff caught Joe Hachem essentially saying 'Poker Is Dying’ during the Aussie Millions? That was almost as viral as poker videos get, excluding mainstream offerings like Carter Gil's sad face and Conor Drinan's pocket aces . As a point of reference the Hachem video has about 58K views. Episode 10 of “Me vs U” on YouTube? 105K!! And there’s nothing really special or mainstream about that. Entertaining, sure, but ever since episode number one the numbers have been suspect. Yea, we feature Me vs U on F5, but c’mon man, we ain’t got that kind of pull! So, for the first time we get a sense that, unlike J.C. Tran and 888Poker, this was not an amicable parting of ways. Reynolds has always been one to speak his mind and now that he’s talking, who knows what he’ll say next. More action from Maryland Live! Casino but this time the big hands of good-time-guy Gavin Smith are given the special spotlight treatment. A fan favorite, Smith always has a punchline ready to go for any situation and here in Episode 11, he gets plenty of screen time to deliver the lines. Looking for more PNIA? Check out episode 10 right here. Threatens to reveal Durrrr’s “personal situation” if things don’t change. 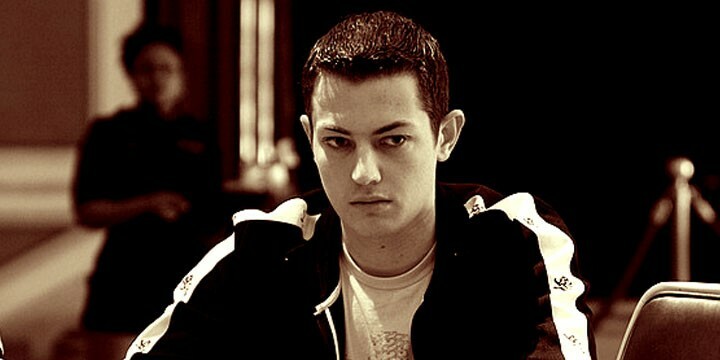 A frustrated Cates lets loose again on the mysterious Tom Dwan (above). Remember the pre-Black Friday Durrrr Challenge? Yep, this again. The quick, abbreviated backstory for the uninitiated. 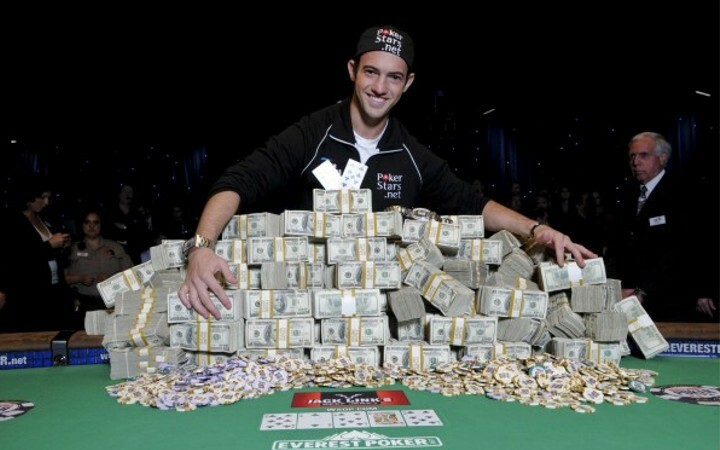 Former Full Tilt Poker Professional Tom Dwan challenged anyone in the world his $1.5M to their $500K that he could beat them in an extended heads-up match with a few specifics such as number of tables and stakes. Patrik Antonius took on Dwan and eventually bought out. Then young upstart, at the time, Jungleman took the Challenge, proceeded to get a massive lead, Black Friday happened and the Challenge has been in limbo ever since. For years now, Jungleman and Durrrr just haven’t ever been on the same page in terms of getting this, now years in the making, game resolved. For Dan, there’s a $1.5M payday he’s looking to cash in on. For Durrrr, well, there’s no more Full Tilt paychecks as far as we know and a lot less incentive to spend his time on this. 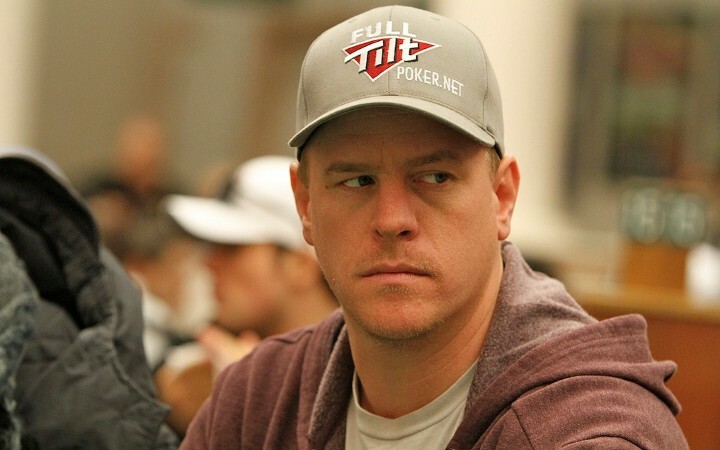 So Jungleman has, every now and again, made the rounds on the poker media bashing Dwan for ducking him and not unlike Ted Forrest's recent tirade against Mike Matusow, has been unafraid of lighting Dwan up in print. This week (already) he’s talked to both Pokerlistings and FlushDraw to goad Dwan into doing anything…even just replying to his texts. Cates went on to say that if things don’t change he will be forced to say more about why Dwan isn’t playing, but that he hopes things can be worked out privately between the two high-stakes pros. I don’t really know how he thinks. I think that he just says things, and he believes some things he says. I think he’s completely delusional. He thinks that he can come back and win, and that the situation is a lot better than it actually is. I don’t know if he believes that or not, but who knows at this point? But, it kinda doesn’t really matter to me, I don’t care the reason why he’s not playing. I just care that he’s not playing! That’s all I care about, I just want to play. That or buy out, but he won’t even do that, and I don’t think he can. It’s just aggravating to me. There’s nothing really new to the situation. Jungleman feels he has a massive edge (and he does have what looks like an insurmountable lead) and he’s made himself available to the media once again to take Dwan’s character to task. If the pair ever met again on the virtual felt, it would likely be “Rail Heaven” for the online nosebleed fans, but when you read these pair of interviews you get the feeling that Dwan not only doesn’t plan on finishing this, he just doesn’t care. Would you watch any of the high stakes action between these two or are you just over it? Meet the man who planned Larry Flynt’s bachelor party. Godfather of Thunder – Thor Hansen. From this past weekend’s Unibet Open in Cannes, France, poker legend Thor Hansen takes a few moments to sit down and talk about the old days of Stu Ungar, Chip Reese, Doyle Brunson and flying around the world picking up ladies for..ahem…magazine publisher, Larry Flynt. Hanson recalls playing 10 years in Larry’s private Beverly Hills home game, being stakes for $200K everyday and chopping up the winnings. But Thor’s not one of those guys who is stuck in the past, while there’s been some good times, he’s also enjoyed playing with and learning from the younger generation. He’s found a way to adapt and this “godfather” is still in the game. Watch the replay of the Unibet Open final table right here. What’s the opposite of Super High Roller? If you want to get in on the Ultra Low Stakes action of an electronic poker tournament – here’s your chance, Las Vegas. Tonight at 7pm at Plaza in Las Vegas they will be featuring a $200 Guaranteed tournament with only a $5 buy-in and $10 re-buys. That guarantee means that the Plaza could be on the hook, just like the Seminole Hard Rock Poker Open was, if things work out the same. Granted there’s a slight difference in the amount guaranteed, but still, you can see them going out on a limb to try to drive customers to the tables. The poker room which currently features 3 of the PokerPro digital tables, expects that with the new expanded 20 minute levels (up from 15) that it’ll be quite the crowd participating. Potentially occupying all three tables. It’s everything you’d want in a home game, but in a casino. So check that couch for any loose chance and hustle down to hang with the good people at the Plaza and chase the dream. New names, faces will have a target on their back. New felts, new faces coming to Bay 101. For those with a keen eye on social media, you might have noticed that early invites to the 2015 Bay 101 Shooting Star have already taken place. The newly resurgent Bay 101 Casino twitter account has been sending out invites to faces both familiar and new to see if they’ll be available to be hunted down as bounties in the festive March tournament. Of course there’s some classic invites: Erik Seidel, Antonio Esfandiai, Scotty Nguyen, Jen Harman and future Hall of Famer Daniel Negreanu have all formally been invited. The past 5 season’s WPT Player of the Year have all been reached out to as well: Mukul Pahuja, Matt Salsberg, Joe Serock, Andy Frankenberger and San Jose’s own Faraz Jaka. Last year’s Champion James Carroll and young gun Michael Rocco who was the “California Swing” winner last year are also on the wanted list. There’s some new faces in the mix too. Look closely. Yep, in that last list is Bluff Magazine's minister of information Kevin Mathers! Kevmath gets the nod to be a Shooting Star in 2015 along with Lily Kiletto, Team Ivey’s Jared Jaffee, Kevin Stammen and Ronit Chamani. By our count, that’s 17 names that have public offers, but traditionally there’s been around 50 players given the honor of having local donkeys shoving light on them in hopes to get the $2500 cash bonus that comes along with knocking out a bounty. With it’s recently reduced buy-in of $7500, the guarantee of big-time poker superstars in the mix and what is arguably the most fanatical fan base of the entire tour, the Bay 101 is one of the crown jewels in the WPT schedule. Want to be ahead of the news curve…give Bay 101 a follow and see who they extend an invite to next, or flame them with suggestions of your own. Is a move to heavyweight in Forrest’s future? Last week we told you about Ted Forrest's fight to collect on a four year old weight loss prop bet against “Check-Raising The Devil” author Mike Matusow. Not only have Ted’s cries for prop bet justice not been calmed, he has in fact doubled down on the very public attack of his one-time friend in an effort to shame him into making some kind of good-will payments. In fact, when someone on Twitter suggested that Ted literally fight Mike for the cash…if Ted wins, then Mike stars paying, but if Mike wins, Ted is owed nothing…Ted actually seemed to be game. From Forrest’s answers, Ted’s more than game…he’s pretty confident. So much so that he says he’d even pay Mike back all the money he’s been paid if he lost. Perhaps there’s another big weight swing coming for Ted. While it seems unlikely that he and Mike would actually duke it out for $2M, Ted seems desperate enough to almost do anything to get that money back…including packing back on the pounds he lost. It seems like if Mike has any plans to pay Ted back, this would be a no-lose situation. If Matusow gets in the ring and knocked Ted out, he wins his monetary freedom. If he loses, well, he pays Ted what he was going to pay him anyway. It’s a pound-for-pound freeroll for The Mouth…unless The Mouth sticks to the sentiments in his deleted tweets from last week and has no intention of paying Forrest another dime. Is there any amount of money you would pay to watch these guys go at it? With hole cards and commentary.